First, a pro-life strategy of compromise—rather than principle—has failed to convince the public or the courts. This offers the opportunity to refocus our efforts on the ultimate goal of the pro-life movement. Second, Republican judicial nominations have failed to overturn unconstitutional pro-abortion precedents and have even contributed to them. This offers the opportunity to eschew blind partisanship and to create constructive social tension that prompts political change. And third, our constitutional system has failed to constrain the judiciary. This offers the opportunity for lesser magistrates to resist unjust edicts. Now, if you expect that I’m cheered to see that stated so clearly, you are quite right. Obviously, I think this effort is all to the good (especially that last one, which needs a lot more clear and cogent expression, these days). I want to add one qualification, though. I think it is important that we not treat “didn’t work” as “couldn’t have worked” or “might not ever work.” I mean simply that, while we must necessarily make judgments based on our best possible understanding of our situation, we should not discourage others or prevent ourselves from simultaneously attempting other things. It really is that simple. We always plan the next battle, and we never agree that any of the transient alliances we may make along the way have any power to bind us where matters of true importance are at play. We recognize that gamesmanship and euphemism have their place, but we also recognize that when the innocent are being killed for profit with the protection and approbation of what we euphemistically call “the law,” the appropriate rhetoric is not that of the cricket pitch but that of the battlefield. And while we plan and think that way, we also back whatever improves the situation–tentatively, and without ever offering the slightest pretense that we intend to stop there. We insist that any honest person can “at least” support whatever is already in play, because that is reality. Any honest person can, and should. And we will insist that again, the next time, too. So my qualification is only this: let us no more make a false principle of adherence to the top-line principle “alone” than of adherence to the lesser and more transient principles, but let us use all and every means without dissimulation or hesitation. My God, I trust you, I shall not be ashamed. Do not let my enemies triumph. No-one who trusts you should lose by it. who break their word pointlessly. and I hope in you all the day long. While I go make coffee…. You can take a look at this. Because sometimes we all need a little reminder. 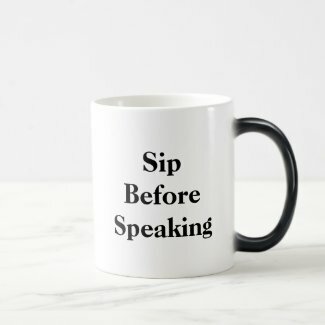 Create one-of-a-kind personalized cups from zazzle.com. I promise, it won’t be all ads. But I have enjoyed getting these things designed and set up, and I’m trying a lot of things out. So please, do chuckle, do laugh, do let me know if you spot bugs or design problems, and remember me when you want to read a poem–or send a pretty or witty gift. Finally, and often forgotten, the most strictly traditional sonnets should have closed syntax throughout. By “closed syntax” we mean two related things. First, and more important, that the sonnet is usually composed of actual sentences in standard English; the sonnet form does not lend itself to the sorts of fragmentary or merely associative utterance often found in free verse effusions or more experimental verse forms. Second, and more precisely the meaning of the term, in “closed syntax” the line boundaries are also phrase boundaries. This does not mean that line boundaries are necessarily sentence boundaries, though it is conventional for each quatrain to begin and end on a sentence boundary. But whether it is a prepositional phrase such as “into the applecart” or even a noun phrase such as “the sun that bakes the asphalt road ahead,” the line break should come before or after the phrase, not in the middle of it. Breaking a grammatical unit with a line break is a technique called “enjambment”; the most strictly traditional sonnets will use it sparingly, if at all. Enjambment is typically used to indicate an overflow of emotion or thought (as though it could not be contained within the line), or as one way to set up a “false syntactic closure” effect (where the first words of one line incorporate the last words of the previous line into a larger grammatical unit that changes the apparent sense of the first line). Sonnet writers vary significantly in their observance of this convention, but it always exercises some degree of force; and the stricter the sonnet, the greater the power of any particular enjambment will be. Yes, I’m thinking of you, Oklahoma Tax Commission and U.S. Dept. of Ed. since I have not forgotten your law. give me life, as you have promised. they have not sought out your judgements. Lord, give me life as you have decreed. How many pursue me and trouble me! But I have not abandoned your decrees. since they have ignored your promises. Lord, see how I love your commandments! In your loving kindness, give me life. justice makes your judgements last for ever. If you are interested in helping me mount a legal challenge to layers upon layers of bureaucratic negligence, abuse, and extortionate practices, then I would like to hear from you. I’m tired of trying to fight this wickedness tactfully. OK, How Does Episcopal Rule Relate to Congregational Polity, Anyway? There are many reasons for [emphatically choosing plural-elders over single-pastor congregational rule]. The primary reason, though, is that the NT’s utterly consistent testimony confirms a plurality of elders as the *only* model that can claim NT legitimacy. For one who tries to take both clear teaching and consistent precedent seriously, this matters. Is our Baptist and evangelical tendency toward a single-pastor model evidence that we have grown up since the NT era or grown away from our origins? I would strongly suggest the latter. Now, I had opportunity to comment a little, but I didn’t want to accidentally start a distracting brouhaha by opening up a Catholic/Protestant “front” in the conversation. In fact, the main goal of my comments was to help stifle any arguments in the form “that’s like Catholicism, ergo it must be wrong,” which at an absolute minimum is an intellectually disabling form of argument. Nonetheless, I found the form of argument interesting, and fraught with one or two hermeneutical problems that should be addressed. I think Dan Wallace does a great job of laying out the case, here, and my objections are obviously going to go to framing assumptions–presuppositions–rather than to the language analysis itself (what I differ with there, I differ with only *because* the Protestant approach forecloses certain meanings). do not follow an interpretation which is only possible; instead, base your convictions on what is probable. Now, Wallace would of course agree with me that in some situations where the context that informs the text’s literal/historical sense is sufficiently remote from the contemporary context of readership, we have to proceed by differentiating possible readings from impossible ones. And I would agree with him that it is a really bad idea to argue from a possible reading of one passage against the probable reading of several passages. And I take it as given that the model we see in the New Testament involves plural “elders…in every place,” and that there is no clear rationale for distinguishing elder, bishop, presbyter, and priest from each other as clearly as we distinguish these from deacons. With some variation from the days of James in Jerusalem, when the Twelve replenished their numbers by choosing Matthias, through the days of the commissioning of Paul and Barnabas, then Paul and Silas, as well as the missionary work of the other Apostles, we see some things clearly. 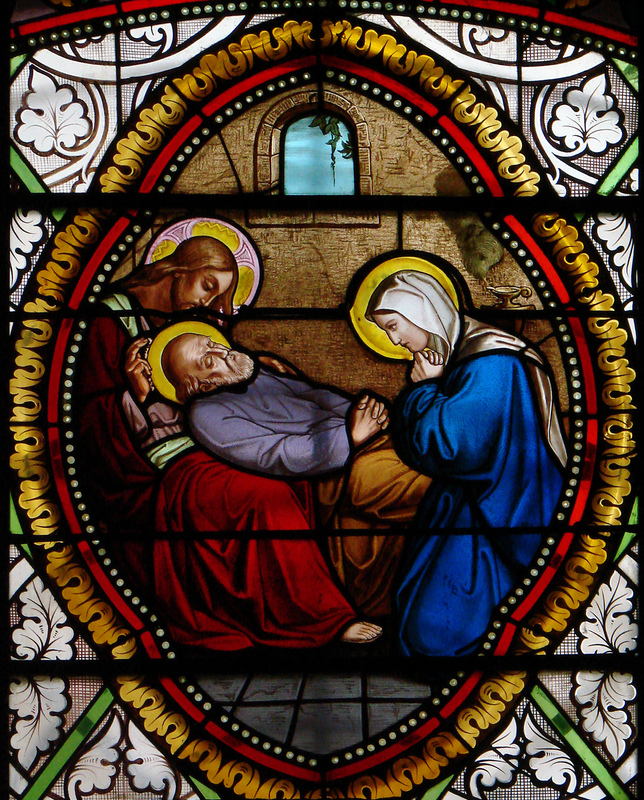 The “laying on of hands,” for example, confers ordination–and confers the Spirit to further and make evident the gift grace for service to the Body of Christ, though these two are distinguishable. There were city-by-city organizations for ministry, and the Church derived its first impetus for organization from the synagogue. We should all agree that the term “presbyter,” for elder, is specifically derived from the leaders in the synagogue, and that whatever variations developed were due to the unusual ministry of the Apostles, the world-altering fact of the Resurrection, and the colossal scale on which Christianity outgrew its Jewish roots and differentiated itself from movements that tried to tow it back into expectation of a restored Temple rather than the Christian work “to proclaim the Lord’s death until He comes.” All subsequent developments in polity, we agree, require for their justification–if they are to bind as matters of faith or morals, to require obedience of all the faithful–the direct command of Christ or the warrant of Apostolic institution (or both). We would probably even agree that there is a “deposit of faith” that follows directly from Christ’s teaching and His authorization of the Apostles to set in order His Church. Where we would disagree, of course, is on whether the “deposit of faith” includes the work of Christ and the teaching of His Apostles “baked into” the institution of the Church itself, so that it includes what the Apostles taught the Churches directly, with its written component being the Scriptures, and the constant practice of all the churches being the historical context among and against which the Scriptures are proclaimed. Intrinsic to the case for remaining Protestant is the argument, in more and less Restorationist forms, that the visible Church at some point lapsed from being the Church of the Vincentian Canon and became subject to recognition only by those who are successful in discerning the maximum coherence of teachings and practices with the Bible. In support of this contracting recognizeability of the Body of Christ, of course, Protestant theology invariably (and, in the case of its Lollard/Hussite/Zwinglian strains, quite deliberately) contracts the importance and authority of that Body. “Go to church” becomes a moralizing exhortation reft of any particular reason, beyond one’s own best judgment about matches between one’s own reading of the Bible and some group’s doctrinal statement, why one should go to any particular assembly of those who desire to become the Body of Christ. In Ignatius (an early Christian writer who died in c. AD 117), at the beginning of the second century, already a monarchical episcopate exists. It is interesting that Roman Catholics especially appeal to this as a model for their practices (since they rely on the tradition found in patristic writers like Ignatius far more than on divine revelation). Those who deny the Pauline authorship of the pastoral epistles (i.e., 1-2 Timothy and Titus) also see the pastorals as reflecting a one-elder situation (=monarchical episcopate) because they regard the pastorals as having been written during the time of Ignatius. Didache (c. AD 100-150)–gives several regulations about baptism and fasting, much of which is pure legalism. (For example, in one place he says, “Let us not fast as the Jews do, who fast on Mondays and Thursdays. Instead, let us fast on Wednesdays and Fridays.” In his discussions of baptism, he argues that cold water is better than warm, etc.–all arguments that have nothing whatever to do with the biblical revelation). Most early church fathers (i.e., 2nd-3rd century AD) didn’t have a clue about grace, eternal security, the gospel. The church very quickly degenerated into basic legalism. It was not until Augustine that the church recovered some of this. But then it fell into the dark ages, waiting for a young monk from Germany to nail his protests on the door of the Wittenberg Church. Dr. Ted Deibler (former chairman of Church History at Dallas Seminary) used to say, “the one thing we can be certain of learning from church history is that we learn nothing from church history.” He meant by this that we are on very dangerous ground if we assume uniformly correct theology from the church fathers. Allegorical interpretation and eschatology: Origen and his school in particular promoted a view of scripture which was quite fanciful. 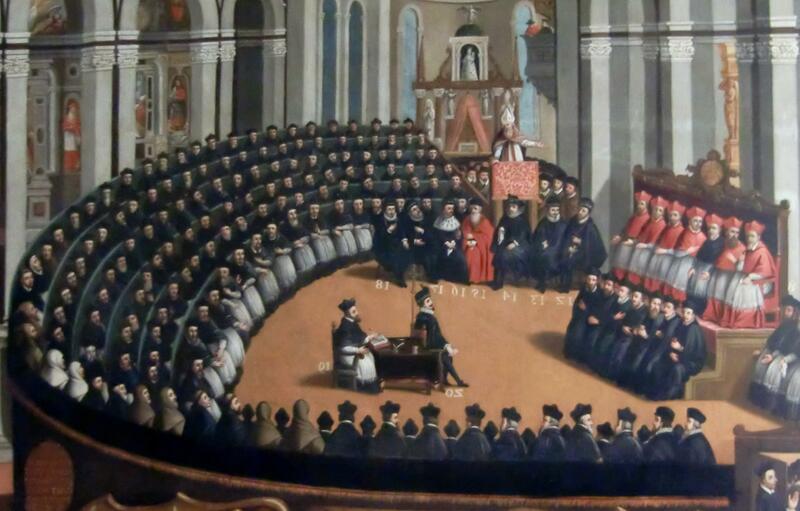 In sum, the argument for a single leader of each church is especially persuasive to Roman Catholics because it did occur throughout church history. Yet, such traditions can never replace the Word of God. Now, I’ve intentionally bolded three sentences that exist to maintain the “wall” against Catholicism that is inherent in limiting the “possible” meanings of the New Testament language about leaders in the Church so that congregational polity with either single-pastor or plural-elder principles appears “probable.” It is only after we have decided on congregational polity, after all, that the semantic field in which we must find places for bishop, presbyter, elder, etc. is discernible. “Most early church fathers…didn’t have a clue about grace, eternal security, the gospel”–the negation is explicit, and flabbergasting. If one means that the early church fathers do not have an American conservative evangelical faith in many respects, then that is assuredly true; but at the minimum we would have to make a case-by-case examination of the divergences. After all, it remains possible that the martyrs were more credible than are today’s Christian book publishing cartels, does it not? Of course, given that the same councils that defined the Trinity also declared that the united voice of the fathers on any point of Biblical interpretation was definitive, it will go hard with any movement that attempts to define and defend orthodoxy as a transmissible body of the faith, rather than a series of ad hoc persuasions. Indeed, evangelicalism has spent a generation or so awakening to its difficulties in this regard. “Such traditions can never replace the Word of God”–Again, the negation here is that the “traditions,” i.e., the united voice of the fathers, the universal practice of the Church, the unfolding of the deposit of faith, are somehow to be read over against “the Word of God.” But how should this even be possible, if the Word of God is Jesus Christ, living, and the Word of God is Jesus Christ, written in the Scriptures? 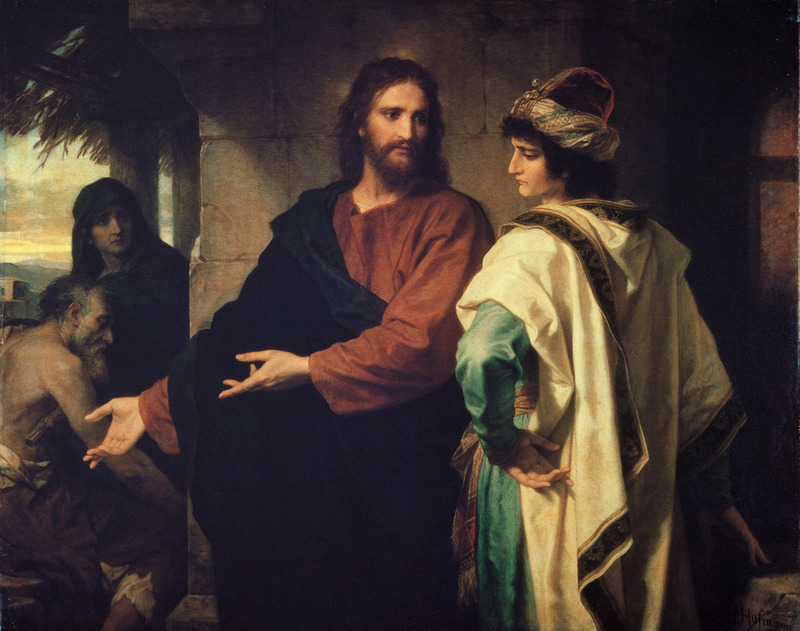 The resurrected Jesus Christ, speaking to His Apostles in person and recorded in the Scriptures, says “I am with you always,” and His Church replies, “We proclaim your death, O Lord, and profess your Resurrection, until you come again.” How would it be possible for the Scriptures to function without the living Word of God, or for there to be a tradition properly called Christian apart from those Scriptures? It just won’t do. The problem for those functioning on the other side of these negations is threefold. We’ll set aside the first, which is that when examined head-on, they just won’t hold up. They misrepresent Catholic tradition, or Scripture, or history, or some combination of these. Believe me, I know this can get bad. I’ve been there myself. Second, there’s a hermeneutical problem that I think is both cause and consequence of this barrier for many contemporary evangelicals, one that gets worse the more deeply one reads into the fathers while trying to remain loyal to one’s Protestant forebears. See, when you cut off the applicable meaning of the Scriptures from the history of their use and interpretation, denying the divine authority under which they were retained and compiled and canonized, the centrality of the liturgical and ecclesial uses of the Scriptures, etc.–when all of that becomes history helpful only in ascertaining the state of the text, which is then to be interpreted literally on its own horizon (by some historical-grammatical or historical-critical method) and then “applied” by a series of ad hoc persuasive utterances directly to the contemporary situation–then you flatten the meaning of the Scriptures considerably. It ceases to be possible to understand the canonical form of Scripture *as* interpretive, for one thing; attempting to recuperate the canonical sense of the Scriptures will require some elaboration of the theory of inspiration that is impossible to source from Scripture, a faintly “possible” but wildly improbable theory of illumination. As a matter of reasoning from the history of the Church, it will be simple cherry-picking: the Fathers will be right where they agree with my reading of the Scriptures, and dispensable where they don’t. In this flattened reading of the Scriptures, it ceases to be possible to see both what the Apostles wrote and what they did–to see not only the teaching in support of the fact, but the fact itself, as relevant expressions of a divinely granted authority that we all, when we are honest, agree the Apostles had. In this flattened reading of Scripture, it never ceases to be necessary to maintain a distinction between the infallibility of the writers of what were generally recognized and eventually canonized as the Scriptures and their fallibility, even when teaching with great authority, otherwise; but it must always be rejected as inconsistency (even as wildly improbable, absurd) that their successors had at the very least a considerable advantage over us in recognizing the difference. Which brings me to the third problem, which is that this set of negations makes it impossible to account for the actual history of the Church. Wallace comes close to conceding this, because he is a good enough student of history to know that it all comes down to one throw, here: either the tradition he inherits is correct, and all visible Christianity was wildly corrupted from the death of John until after Diocletian’s persecution and Constantine’s legalization of Christianity, at which point Augustine somehow revived it from coals; or Ignatius of Antioch, the close associate of Polycarp who was probably John’s own disciple, who certainly could have known the Beloved Disciple and certainly was a monarchical bishop of an Apostolic See (Antioch), knew more than a twenty-first century Christian, however astute, about what Christ’s own Apostles had taught and done about ordering the Church that Jesus founded in them. 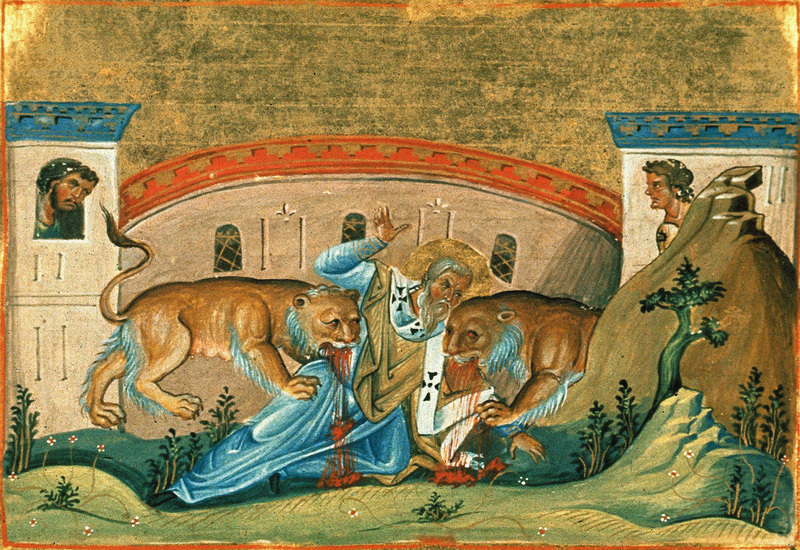 If nothing else, bear in mind that Ignatius lived and moved among the parts of the Church that had known immense investment of first-generation Apostolic time and teaching and suffering, that had been producing martyrdoms since the first missions there, and yet had enjoyed multiple Apostles teaching there over decades. These were not places where faint words had been remotely heard and possibly misconstrued; they were the places addressed in letters like St. Paul’s Epistle to the Ephesians, which addresses no major pastoral problem–but urges them to avoid divisions, an urging given still more emphatically in the letter St. Ignatius wrote to the same church. 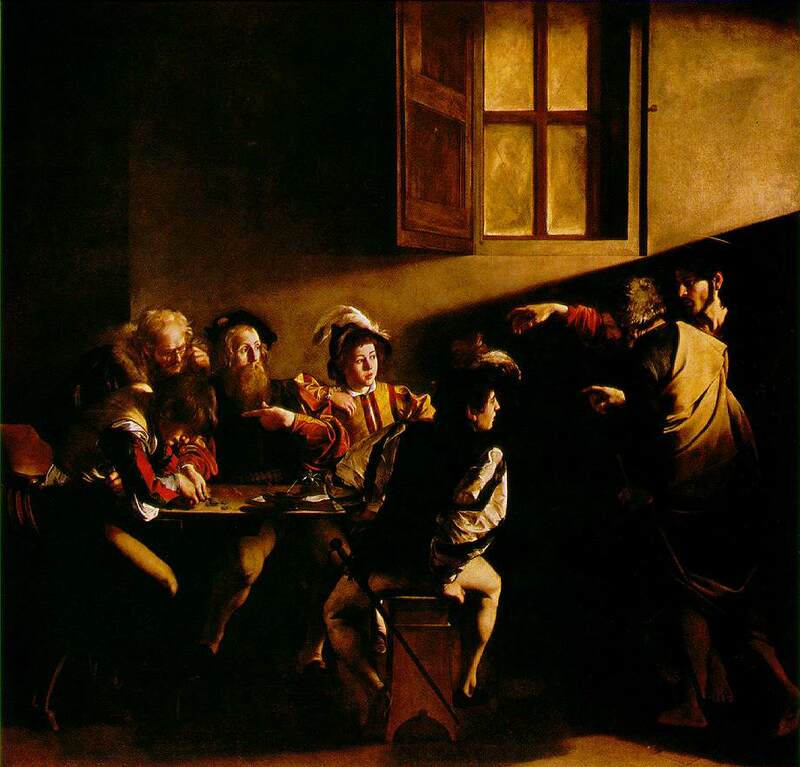 If crucial concepts–concepts constantly discussed, no less–were not only developed in less definite forms, but mangled badly enough to disqualify the fathers as authentic interpreters of the faith, then what happened to the Church that Jesus founded, in the generation immediately following his Apostles? There is no tension between resisting anachronism in theology (the tendency to grab sentences from Scriptures or patristic texts without regard for the historical unfolding of Christ’s teachings) and affirming that the Apostolic Fathers must have been generally right about those things they regarded as central and that their successors built on. There is considerable tension between “upon this rock I will build my Church, and the gates of Hell shall not prevail against it” and the view that after the Apostles not the world, but the whole visible church herself, promptly lapsed into such grave error that their witness is disqualified–and did so until Diocletian, Constantine, and Augustine led us into light. Diocletian’s persecution did Providentially provide the impetus for canonizing and defining many things which otherwise might conceivably have dwelt in obscurity, and Constantine’s legalization of Christianity provided the space for historical efforts to realize a Gospel-ordered cosmos to begin (and err, and struggle, and begin again, and so on). And Augustine is surely a great light to the Church, perhaps alongside St. Thomas Aquinas as the twin epochs of Christian thought since the twilight of the Apostles. But St. Augustine surely would not agree that his testimony was over against the early fathers (though surely he did not mind correcting mistakes when he found them); and still less would he agree that his efforts were contrary to a high view of a presently united Church (living and dead), with a monarchical episcopacy centered in Rome! How can it be that the Church should have labored so long under such a privation of sound teaching, should have managed to canonize the Scriptures while her own governance and theology were so utterly wrongheaded? What would it mean for Jesus to tell that Church, “the Comforter, when I send Him, will lead you into all truth”? How can it be held that the Trinity, the Incarnation, the rejection of Arianism and Pelagianism and Donatism and Semi-Pelagianism and Montanism and Manichaeanism and Marcionism and, and, and–that the Church got all of these right, and canonized Scripture correctly, but did so in such radical ignorance or corruption of teaching that it is disqualified as an interpreter of Scripture throughout that whole history? In what way does this not immediately devolve into a cherry-picking scavenger hunt through Church history, one that directly anticipates the postmodern condition so literally as to suggest that Protestantism itself is coterminous with the modernity which has inflicted that decay upon itself? And now we’re back to problem one: No, no, it just won’t do. That can’t be true. Now, after all that–taking all that as prolegomenon to the work at hand–let me try to recommend a simple understanding of what is both “possible” and “probable” when we observe the unity of the New Testament with the actual work done by the Apostles, as reliably witnessed by their immediate disciples and the very Successors of the Apostles (like St. Augustine) relied on by our Protestant friends as important Christian teachers. The really essential thing that is ignored in pretty much all congregational-polity exegesis of the Scriptures is that most of the language about the organization of the Church in the New Testament does not address a single congregation at all. It is addressed, and this is how the Church has always understood it, to the local Church, that is, the Church as organized in a particular city. Think about the way the Acts of the Apostles are organized; yes, they met “from house to house,” and they also assembled in the Temple, but the Church in Jerusalem had a head (James) who was part of a global authority (the Twelve). In Antioch, there was the apostolic presence of Peter, who had to be reckoned with when Paul thought things were being done incorrectly. “In every place” there were elders–presbyters, synagogue-like leaders recognized in the existing community and ordained “by the laying on of hands” to assist in the Apostolic work and lead the local communities. No matter which words you use, during the time of the Pauline Epistles (which does not, by at least twenty years, comprehend the whole of the Apostolic Age) there were clearly levels of authority–Christ’s own Apostles, those they ordained, and those ordained by those ordained men, and all those in distinction from deacons, and from other helpers in the work. Now, it is a fact of Church history that the term “presbyter” came to be used slightly differently in different Apostolic Sees, different regions of the Church as it came to be by the end of the 2nd C. That is fine. There is also diversity of usage within the Scriptures, as is made evident by the difference between “elder” in synagogue parlance, “elder” in a general communal sense, and “elder” in a sense that pretty clearly means bishop/priest. And, in fact, the Church has no theological need to be embarrassed that “presbyter” clearly means bishop, episkopos, in one place and time–and just as clearly means “priest” but not “bishop” in another–and seems to include “deacon” as well as “priest” in another. The word is, after all, more general in sense than these specialized terms. It would therefore take its local sense from the place, time, and situation of writing; and that such things could diverge over time is no surprise. But still more to the point, the Church herself understands the priesthood as one thing, existing in a diversity of manifestations. And then perhaps it will be easier to acknowledge what St. Paul meant in these and similar texts: 1 Corinthians 11:2; Ephesians 3:7-10; 2 Thessalonians 2:15; 2 Timothy 1:6-7; 1 Timothy 3:14-16. 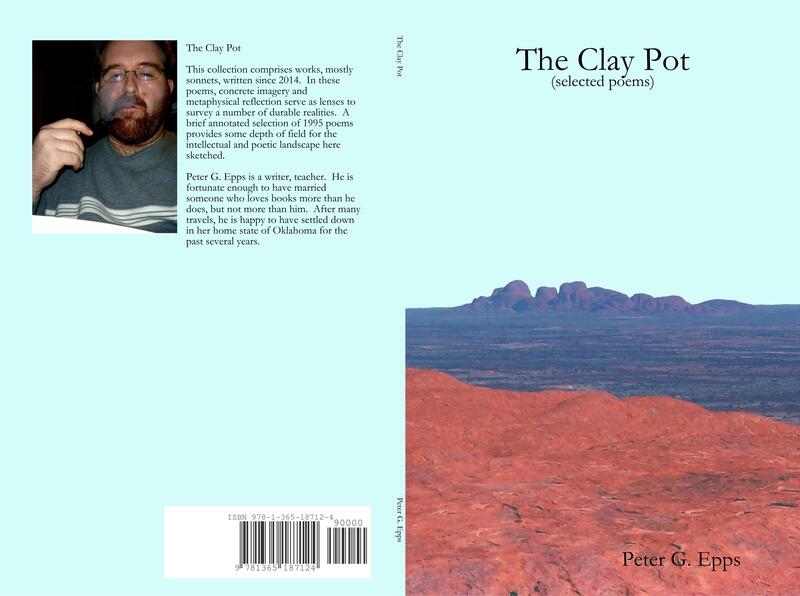 My most recent poetry collection is now available, and I believe it is the best yet. Poems, mostly sonnets, written since the completion of my last collection. In these works, concrete imagery and metaphysical reflection serve as lenses to survey a number of durable realities. The progression from “Thinging” to “Thinking,” as well as the philosophical nature of many of these poems, derives from the major intellectual adjustments that have resulted from my embrace of the Catholic faith and the metaphysical realism, best worked out by St. Thomas Aquinas, that follows naturally from that understanding. A brief annotated selection of 1995 poems provides some depth of field for the intellectual and poetic landscape here sketched. If you know someone who would be willing to review it, I’d be happy to arrange to send a copy. And do please consider adding it to your collection! I’d prefer you ordered from my printer directly (or help me get this shelf space in your local bookstore), but all my work is available through amazon.com/author/pgepps as well. The second basic component of the definition is “iambic pentameter,” which many people think sounds difficult even though they can almost effortlessly recognize it with just a tiny bit of instruction. But let me explain it a bit, anyway; indulge me, and let your browser help you look up any terms that seem unfamiliar. A verse has iambic rhythm, one of the four common poetic rhythms used in describing English verse, when the syllables can be divided into pairs. Each pair (called a “foot”) has one syllable that receives more emphasis than the other, whether by loudness, quantity (how long it takes to say it), or weight (how complex the sound is). This is the “stressed” syllable. What makes the foot distinctively iambic is that the second syllable, not the first, is stressed. A two-syllable foot with the first foot stressed is trochaic, not iambic. Because both trochees and iambs have two syllables with one stress, a verse with iambic rhythm may well have trochees in it, as well; these occasional substitutions are used by writers to vary the rhythm from line to line. Pentameter is quite easy to understand from the name: each line has five stressed syllables. Iambic pentameter, then, has five iambic feet per line. Tetrameter and trimeter are also common descriptions of lines in English verse, and even dimeter is not unheard-of. More complex rhythms often have lines of varying length (for example, “fourteener” rhythm has a tetrameter line followed by a trimeter line in each verse and two such verses in each stanza). In the sonnet, however, which gains most of its complexity from rhyme scheme and theme, the only typical variation would be the Alexandrine, now rarely used. An Alexandrine is the addition of two extra syllables (also called a “hypermetric foot”) to one line in a verse, strictly to add variety or emphasis. Alexandrines are common in long poems written in heroic verse, but in sonnets they are almost never used except in the last line of the poem. A sonnet is a poem consisting of fourteen lines of rhymed iambic pentameter in closed syntax, where the rhymes conform to a specified scheme. Poets will, with some historical warrant, refer to almost any sonnet-like poem as a sonnet; in some periods the word has been used for most kinds of short poems (as in Donne’s Songs and Sonnets, though unlike his Holy Sonnets, which all meet the typical definition). One could plausibly choose to define “sonnet” very broadly, treating a poem as a sonnet to the extent it approximates some or all of these basic features. Thus a sixteen-line poem in iambic tetrameter with a typical Shakespearean sonnet’s rhyme scheme, a free verse poem fourteen lines long with heavy enjambment, or any number of modifications might be thought of as sonnets. Personally, though, I prefer to keep up a distinction between poems which allude to the sonnet form and poems properly called sonnets. Such a distinction will have fuzzy borders, of course; but it does seem worthwhile to look carefully at whether a poem meets all three parts of the basic definition, even if it also modifies one of more of them. Readers and critics will want to know, in any case, whether a given poem has stopped short of consistent sonnet form, or whether the modification to the form serves some specific purpose. It also matters whether a “sonnet-like” poem should be thought of as a sonnet with specific innovations, a new variant of the sonnet, or some other form of poem arranged to allude to a sonnet. Briefly, then, and without spoiling the more detailed discussion in the book I’m working on, let’s define the three basic elements of the definition: fourteen lines, rhymed iambic pentameter, and closed syntax. Fourteen lines is easy enough; the rest of the terms describe relations of sound and sense to those lines. It is often handy to know that lines in English poems are frequently grouped by rhymes, so that a “quatrain” is a group of four lines identified by a rhyme pattern; an “octave” eight lines; a “sestet” six lines; and a “couplet” four lines. do you care? —- over there! what I wish is —- Do the dishes! There are additional kinds of rhyme, of course; I’ll be looking at some of them in my book. In future posts, we’ll continue by looking at the rhythmic and grammatical rules for constructing a sonnet. About the time Johnson wrote his definition, however, the sonnet was being revived in a way that makes his reference to “any man of eminence” seem ironic. Although the “Big Five” Romantic poets Wordsworth, Coleridge, Byron, Shelley, and Keats would make considerable use of the form, this tight-knit group of men were introduced to the sonnet by a group of women spanning the generation before Wordsworth and Coleridge. Of particular interest in this connection are Charlotte Smith and Mary Robinson, who in radically different life situations began to use the sonnet form in similar ways and for similar purposes. Their great literary rival, Anne Seward, was known to Johnson; Seward engaged in an acrimonious literary dispute with Johnson and famously defended the literary superiority of the “legitimate sonnet,” providing us with a key to the importance of the sonnet to these women and later writers. Smith and Robinson both, in publishing their sonnets, respond in two different ways to Seward’s insistence on the “legitimate” (Petrarchan) sonnet. On the one hand, they did not consider themselves bound by Seward’s strictures; Smith translates Petrarch from the Italian but also writes in multiple variants of the sonnet. On the other hand, their use of the form accomplishes two goals at once, granting them the sort of “legitimate” poetic reputation Seward also sought while bypassing the fading Augustan consensus that heroic verse was the proving-ground of great poets. Seward, Smith, and Robinson lived as the Enlightenment and the Industrial Revolution were disestablishing natural social bonds and replacing them with a revolutionary rationalism whose “science” would declare women physical and psychological inferiors well into the 20th Century. This cultural consensus would perhaps reach the height of its strength in the 19th Century, as seen in the vogue of pseudoscientific understandings of human development such as phrenology, popular applications of Darwinism to individual and socio-cultural development, and the reduction of women to perpetual minors in the Napoleonic Code; but in the late 18th Century these determined (and sometimes desperate) women were already finding ways to defend their dignity and make their voices heard. Rather than strive against the memory of Pope and Dryden and the criticism of Johnson, writers like Smith and Robinson chose to work in the tradition of undoubtedly great English writers that many Augustans failed to appreciate. Shakespeare’s reputation, and Milton’s, had languished for years, but they had never really disappeared; and the formative years of the “Big Five” Romantics would also see the rehabilitation of Milton as a hero for an age of revolutionary radicalism. 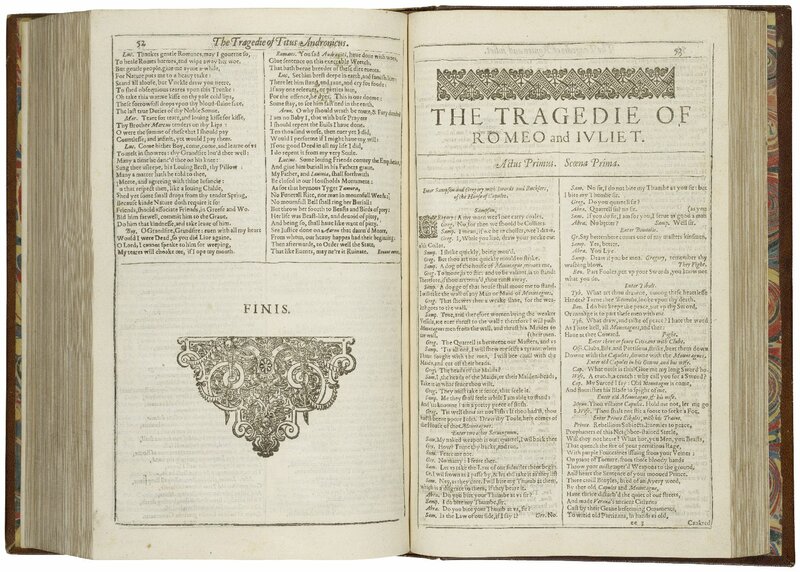 As part of that formative period, poets like Smith and Robinson wrote in the form of Sidney’s still-popular work, a form appealing both for the Italianate flavor of Petrarch’s originals and for the English variants innovated by Shakespeare and Spenser and Milton. By leapfrogging their contemporaries in favor of a “legitimate” form practiced by major writers of the past, Smith and Robinson secured their place in literary history—and became key figures in the revival of the sonnet. Since the late 18th Century, the sonnet has never completely gone out of fashion. 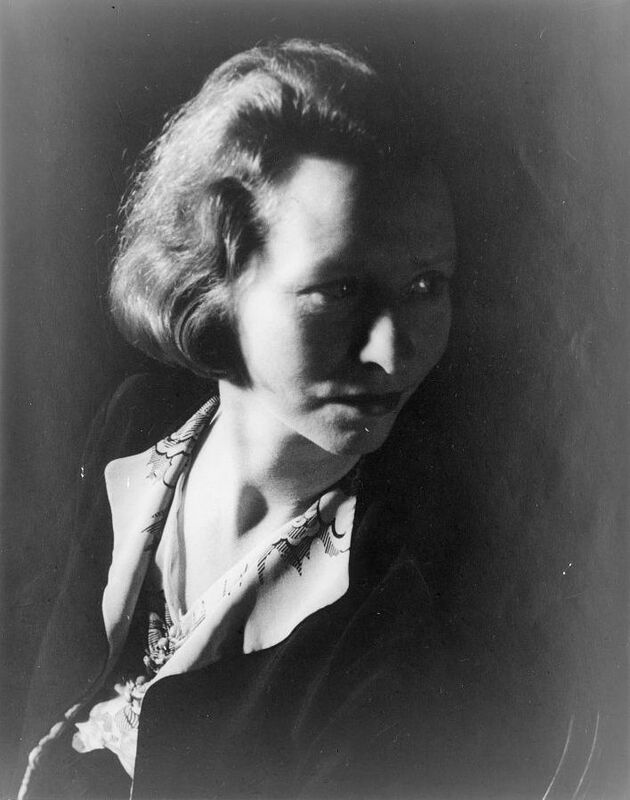 Even in the United States after Walt Whitman’s promotion of free verse, writers as different as Edna St. Vincent Millay, e.e. cummings, and Gwendolyn Brooks have all made significant use of the sonnet form. Rupert Brooke’s promise that, if he dies in battle, “some corner of a foreign field” will be “for ever England” comes from a sonnet; even horror fiction writer H. P. Lovecraft put together an odd sonnet cycle titled Fungi from Yuggoth. In more than a few of these cases, the poets use the sonnet in ways Smith and Robinson would recognize. Like most traditional forms, the sonnet embodies a range of cultural and personal habits of expression, a means of sharing certain insights that both gives them shape and selects them; in choosing the form, the writer of the sonnet takes on those habits and uses those means, and gains the opportunity to innovate by modifying the expectations evoked by the form. 1. A short poem consisting of fourteen lines, of which the rhymes are adjusted by a particular rule. It is not very suitable to the English language, and has not been used by any man of eminence since Milton. “Not very suitable to the English language.” Thus did the great lexicographer summarily dismiss the sonnet under cover of defining it. Definition two is almost as crushing: “A small poem.” When Johnson wrote the definition in 1755, however, it would have seemed defensible. After all, John Milton’s career had ended a century earlier, and few poets had used the form in the interim—and, as we shall see, it was no “man of eminence” who would revive the sonnet, either. The sonnet had been a going concern for nearly two centuries in Milton’s time. Beginning in the middle 16th Century, sonnets in English were written whole collections at a time. Like the plots of Shakespeare’s plays, sonnet cycles were cultural imports from Italy. Thomas Wyatt and Henry Howard, Earl of Surrey, translated and adapted Petrarch’s Italian sonnets for English use, and the form caught on. Great lights of literature such as Sir Philip Sidney, Edmund Spenser, William Shakespeare, and John Donne all contributed collections of sonnets which are still read today. Some sonnet cycles, like Spenser’s, were bids for fame; others, like Shakespeare’s, probably were not intended for publication as a single cycle at all. But the English Renaissance was an era of great projects, and the aspiring virtuoso could display considerable skill and patience in wrangling out a successful sonnet cycle. 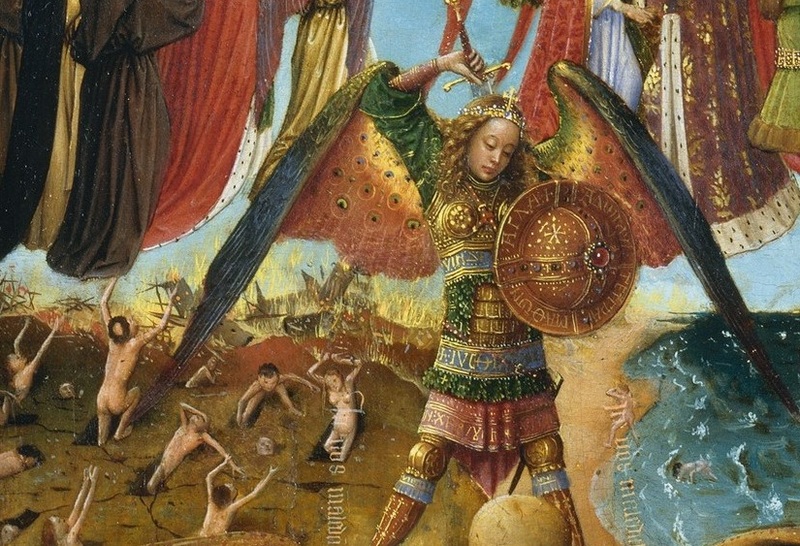 Why, then, a century of silence after Milton’s few and scattered sonnets? So many reasons have been suggested that it may be best to simply say, “We don’t really know.” I find it hard to take seriously the notion some suggest, that Milton’s use of separated sonnets to express passionate responses to matters of war and politics, and to reconcile himself to personal suffering, was so shocking to the sensibilities of the English-speaking world as to require a century’s abstinence. More plausibly, the dominant poetic voices of the Restoration may have seen fit to write as differently from the proud regicide as possible. They certainly did so in their long verse narratives, which often echoed Milton even as they attempted to one-up his style. Milton had insisted that rhyme was a decadent innovation in English long verse, and so had written Paradise Lost and his other great epics in blank verse. Restoration poets such as John Dryden and Alexander Pope built their reputations in heroic verse, which requires that long poems be built up out of rhyming couplets—and that every line ending also be a phrase ending. Few poets can write for long without turning heroic verse into an unbearable jangling, a point that Pope’s Essay on Criticism drives home with memorable wit. My own conjecture, added to the heap of such historical second-guessing, is that this warfare over poetic form itself probably led to the neglect of the sonnet. With Paradise Lost dominating the imagination of English poets, commanding their political opposition and their literary allegiance at once, there was little for the reputation-hungry poet to do but attempt the grand philosophical epic. Milton’s own arguments against rhyme sharpen the question; Johnson’s dismissal of Milton’s sonnets is, ironically, based on his agreement with Milton that English is no fit language for tightly rhymed forms. The epics and mock epics written in defiance of Milton’s writ over the next century and a half seemed instead to verify it, so thick were book-length concatenations of iambic pentameter couplets on the ground. John and Mark do not mention Peter walking on water. Seems like a fairly important event not to include in their Gospels! Do you have a quick guess why? OK, I totally stole someone else’s conversation on Facebook. But it was a good question, and I never could resist trying to answer good questions (yes, even as a kid). John has all three Synoptics available when he writes his Gospel, so he feels much more free to develop themes and frame the events, rather than repeat them. Mark is the briefest of the Gospels, and is traditionally believed to be John Mark’s recording of Peter’s testimony to the life of Christ. 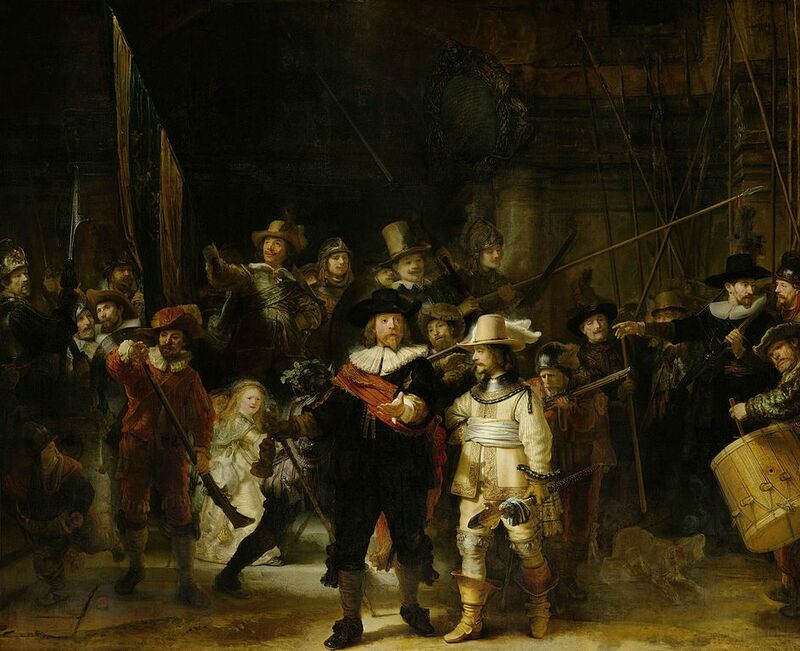 One could hypothesize that Peter declined to put himself in the spotlight, but that is probably not necessary. Matthew’s outline was probably known to all, as he likely compiled a “sayings Gospel” in Aramaic almost 20yrs before writing his Greek Gospel (we don’t have the Aramaic text today). I would suggest that Luke, gathering the greatest breadth of testimony, had Matthew’s information and most of Mark’s in hand when writing. So it makes sense that several accounts found in Luke and Matthew are not elsewhere.